We've already had a number of reports on the new Transformers 2 movie — from the Hummer HX to the Chinese Malibu — but it seems the second new movie about everyone's favorite Chevygasm robogasm now has a name beyond "the deuce." 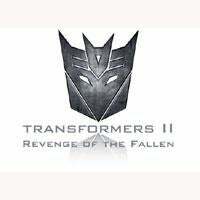 Apparently, a blurb and graphic on Hasbro's web site indicates the name for the new movie will be "Revenge Of The Fallen." Oooh, sounds scary! It also sounds like perhaps "Jazz" might be back for this second go-around. Although we don't want to totally geek out here, we have heard other options on reasons for the title including something to do with "Vector Prime." We guess we'll see. But, for you film geeks (Bumblebee, we're looking at you) we do have something really cool you might want to see — a potential look at a rendering of what the hottest Autobot ever —"Arcee" — might look like, after the jump.